You may have to follow an existing internal archiving system or document management system. Talk to the chair or co-organizers about the degree of formality of the meeting and the expected outcome. 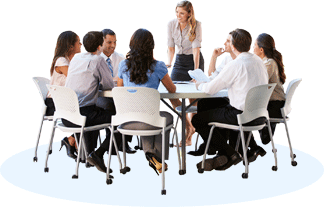 In some meetings, such as board meetings, you will be dealing with motions, voting etc. You should ask the chair for names of who are making motions, and seconding etc. You need to know if you will be referring to Robert’s Rules and/or which meeting format to follow. 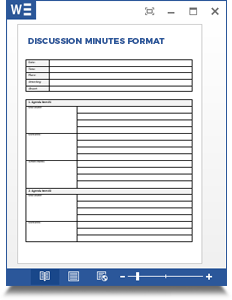 Most commonly used is the discussion minutes format. The minutes format required and selected should be used to create a concise agenda. 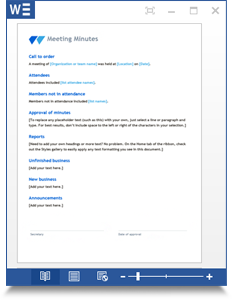 The agenda will provide an outline for enabling you to capture minutes more quickly during the meeting. Most of the minutes software programs contain an agenda module that make it easy to create the agenda, but Word templates can work also. Some tools facilitate collaboration options for co-organizers and attendees depending on how much control you want to the agenda creation. Take notes of when the following meetings should take place.